Last week, we spent a lot of time talking about angles. We began by reviewing acute, right, and obtuse angles. We remembered that a right angle is 90° and that you can make a square inside of it. We discussed that an acute angle is just a cute little angle. It’s less than 90°. An obtuse angle is larger and is more than 90°. After we reviewed different types of angles, students were introduced to a protractor. A protractor is used to help us measure and draw angles. When looking at a protractor, you will notice that a straight line goes through 0°. This is called the zero plane. We always put the center of that zero plane on the vertex, the point where the two lines meet. We then look up at the second line to see what numbers it intersects. You will notice two different numbers. In order to figure out which numbers to use, you need to know whether it is an acute angle or an obtuse angle. If it is an acute angle, you will use the smaller numbers (less than 90°). If it is an obtuse angle, you will use the larger numbers (greater than 90°). To practice using a protractor, try heading over to the site Math is Fun. It has a great tool that will allow you to measure different angles! 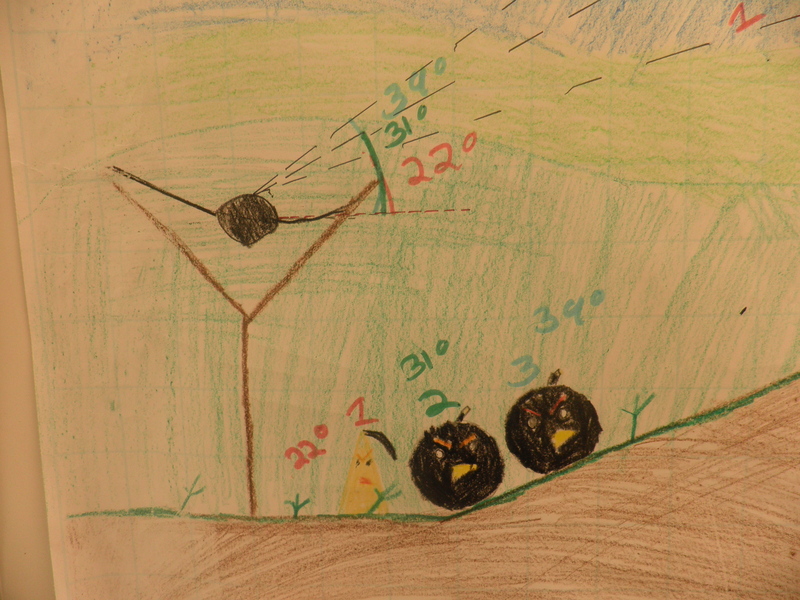 In order to practice measuring angles, we designed our own Angry Bird levels. Angry Birds is a popular game where you have to use a slingshot to shoot birds through the air to destroy green pigs. Students had to design their background, figure out the placement of their pigs, decide what type of birds they would use and then figure out the path each bird would have to travel in order to defeat the level. After this was completed, we then found our zero plane (a line even with our slingshot). Students then had to measure the angles that each bird would have to be shot at for the best results. They then marked these angles on their poster. Take a look through the pictures below to see our final results! Did using Angry Birds help you to understand measuring angles? When else might you need to know how to measure angles? I googled “creative ideas for teaching angles” and I hit the motherload with your blog. I’m going to use this as my assessment activity at the end of the unit. My class is going to love it! This looks like such a fun and interesting way of synthesising work on angles!! I’m a prac student in a year 4/5 classroom at the moment, and for teaching angles next week I think I’m going to see if my mentor likes this idea! Thanks! I love this idea! I’m a student teacher in Scotland and would love to try it. Did the students draw their lines for shooting the birds then measure them afterwards, using the protractor? I’m glad you enjoyed the project! The students definitely did! 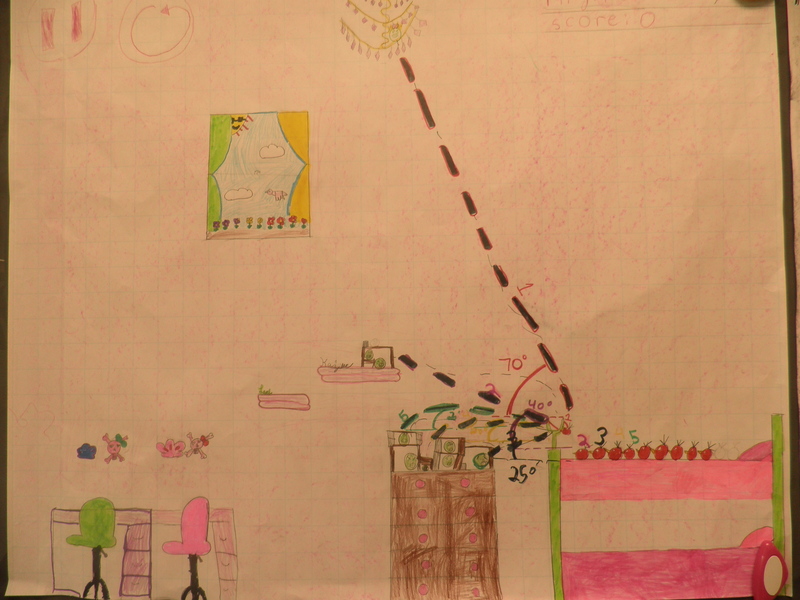 I had students draw the lines first that would represent where the birds would need to hit to complete the level. Then after the angles were drawn, then I had students measure them with a protractor. I hope your students enjoy it! I am a student-teacher and was looking for ideas on teaching angles later this month. I came about your blog and I love the idea! I will adapt it to our classroom setting and send pictures and information on how it went. I can not wait. I am so excited! I’m so glad that you found something that you can use in your own classroom. I’d absolutely love to see what you end up making with it! Please do come back and share. If you’d ever like to collaborate on anything or try to Skype with us, we’d love to. We’ve never had the opportunity to Skype with a class in the Caribbean. You can reach my by email on the “contact” page at the top. Let me know! I understand measuring angles. I like the drawing of the Angry Birds. Angry Birds helps me with math a lot because it is used for distance and angles. Yes! I love angry birds. Now it can help me with math! What is your favorite bird? Mine is the bomb. Angry Birds can definitely help you with math. Every time you shoot a bird, you are trying to determine what angle would be best to shoot the bird at to knock things down. My favorite bird would probably be the bomb too because it destroys so many things at once! The way you teach math must be fun and educational. 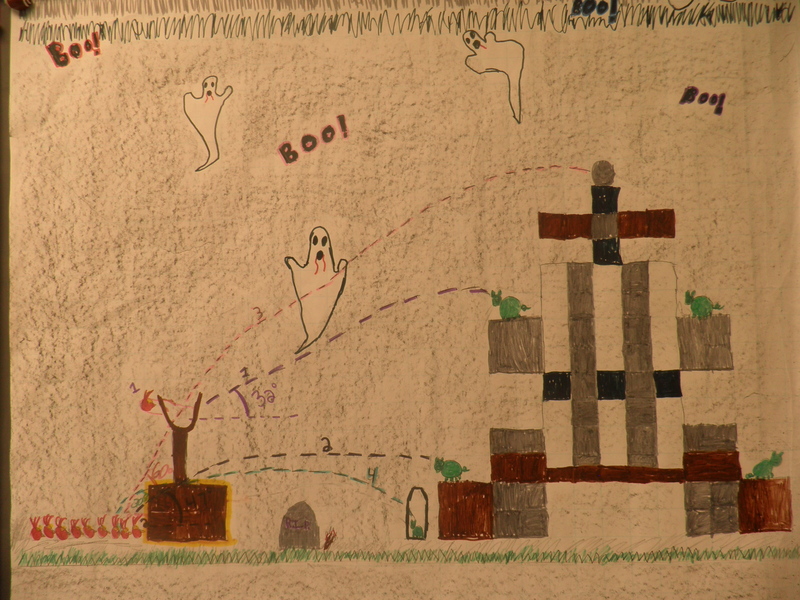 You used art, math, and a game to teach angles. That is a wonderful way to teach angles. Do you teach math with other games as well? I try to make everything fun and educational! I definitely feel like learning can be fun! We use lots of games in class. On Friday we played a game called Star Wars. We used it to help learn how to multiply decimals. What a fantastic idea for teaching angles. I had thought about the concept so now I’ll go through with teaching as everybody in Geelong, Victoria, Australia also loves Angry Birds. Thanks for the kind words! The students definitely loved making the posters. I look forward to making them again in the new school year. I hope you’re able to use it in the future. I’d love to hear how it goes! These are pretty cool! What a great idea – I hope you all enjoy your summer holidays! Thanks for our comment. The summer holiday is always a nice little break. It lets everyone recharge a bit before we start back up in September. I’ll definitely be sure to check out your blog. Thanks for sharing. Making the Angry Bird Levels was so much fun. The hard part was figuring out what kind of angles they were. Mine was the beach scene. I think the students all did a great job, and I especially like how they all drew their angle markers between the line and the zero plane – some of my high school students still forget that! Great work by everyone. It is fantastic that you have incorporated math, technology, science and art, all into the one lesson. It would have been highly engaging and motivating for the students. I wonder if the students could now create their own game to test the angles? Hello from sunny San Antonio! Our Doppler Radar is blank! Can you believe that? Sunny skies and swimming pools for me, plus a little bit of Angry Birds. I reached Level VII and had so much fun. Can’t wait to teach angles with Angry Birds next year. I learned I could get more power on some levels with acute angles…high flying! 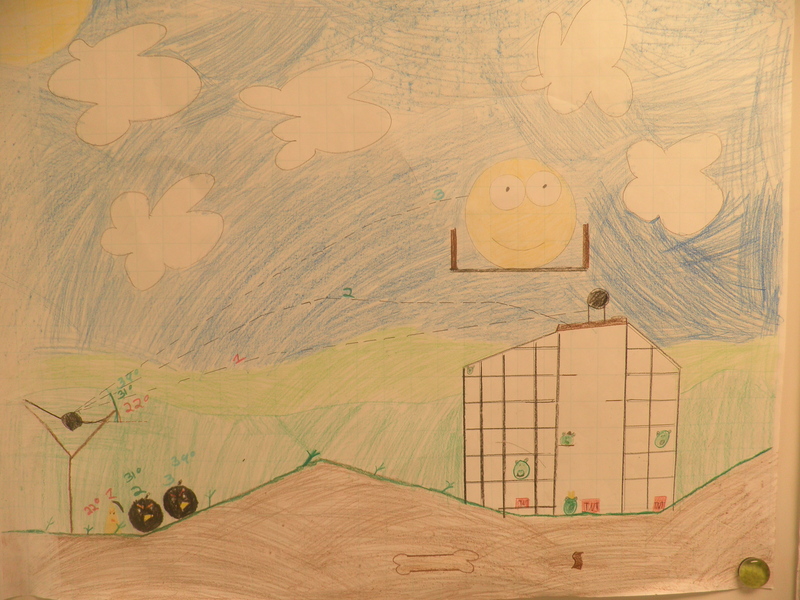 I love all your pictures and can tell Angry Birds brought geometry to life for you! This looks like a great idea. I would love to hear the feedback from the students about it. Did they find it effective? Engaging? What a fantastic and modern way of looking at angles. This has given me inspiration to undertake this lesson with my own year 5’s. (Not sure which grade in the US that is) Thank you for sharing and well done. 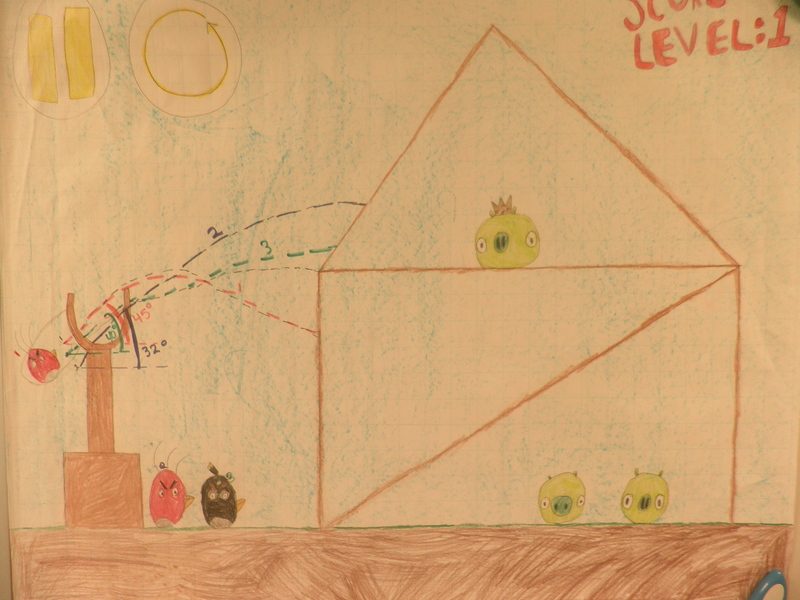 Some great drawings of the levels – perhaps you need to send them to the Angry Birds and see if they can create some of the levels for you! 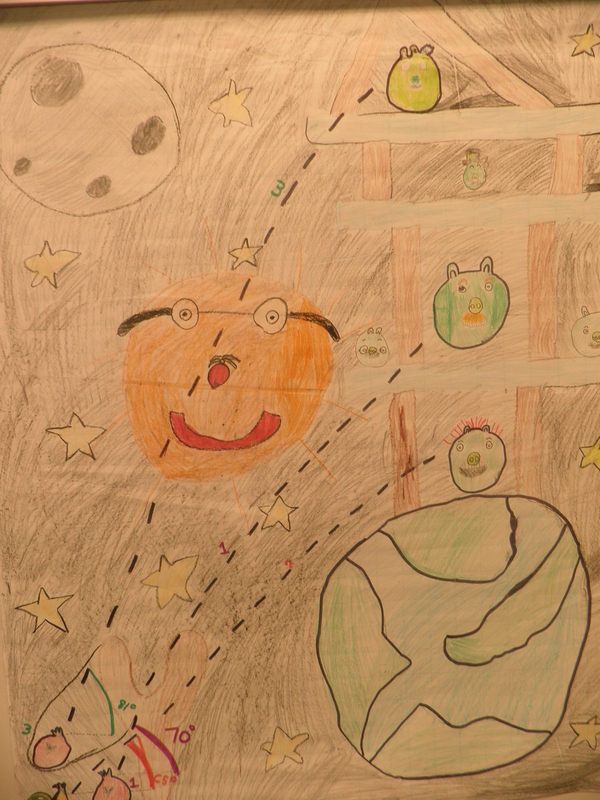 The Angry Bird posters were all so colorful! My partner was Jenna. Ours is the space one. If the posters were on the real game ours would be so easy to knock down. All you would have to do is hit the base and all of the pieces would fall. It was really fun making the posters! I wish I could make another poster.